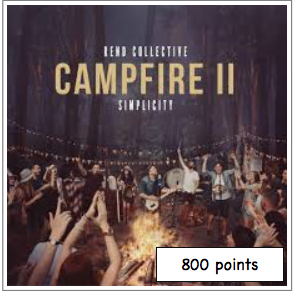 ​Good News is the album where Rend Collective have tried to be as Rend Collective-y as possible. "In the past we've been insecure and sometimes let that insecurity stop us from fully being ourselves and worse - from fully expressing the unique (weird?) identity God has given us. But Good News is our unfettered, uncaged, unapologetic announcement of old fashioned, transforming, earth shattering gospel. We celebrate loud, we lament openly and we sing simple truth like we mean it." ​Blessed with a voice that is both smoky and sweet, Lauren Daigle has forged a unique sound that combines soulful, heart-in-throat vulnerability with the passionate fire to serve God. Building off of her debut, the How Can It Be Deluxe Edition is ripe with the kind of compelling lyrics and engaging melodies that invite listeners to draw closer to their creator. The deluxe edition features the radio hits “How Can It Be,” “First” and "Trust In You" that have endeared Lauren to listeners worldwide. Two brand-new songs, two stripped down versions of fan favourites plus a live recording of the triumphant "How Can It Be" have been added to make this release a fan favourite. In a short time, Multi Dove Award-winning artist Lauren Daigle has made an impressive mark on the Christian music scene. ​Two-time GRAMMY Award nominee Lauren Daigle is back. After bursting onto the scene in 2015 with her platinum selling debut album How Can It Be, Lauren returns with a brand new album, Look Up Child, and new single “You Say”. “Look Up Child has been in the works for quite some time and I’m excited to finally share it with my fans,” says Lauren. “The studio has become my companion as I’ve poured all that I can into what is now a body of work that I deeply treasure.” The first single from Look Up Child, “You Say,” demonstrates a growth in Lauren’s talent as a songwriter and vocalist. The song is both emotional and uplifting, a reminder to look inward to find strength in difficult times. “You Say” is now available across all streaming services and the official video can be viewed here. From catchy melodies, to reggae jive, sweeping orchestral ballads to back beat vibe, Look Up Child has transcribed the pulse of Lauren’s veins into musical form. She adds, “Every part of the music experience, of Look Up Child, shares a profound love, deep rooted joy, and hopefully a connection to the music for people to share. Following his 2006 RIAA Gold-certified record, See the Morning, Chris Tomlin's fifth studio release, Hello Love, communicates what he describes as the need to introduce ourselves to love again. Produced by Ed Cash (Steven Curtis Chapman, Amy Grant, Bebo Norman), the record endeavors to give voice to the Church to worship their Creator. Songs including Love, God of This City, Sing, Sing, Sing, and I Will Rise,are already impacting worshippers across the globe, as Tomlin debuts his new music on Passion's first ever world tour. The projects first single Jesus Messiah is finding a home among American listeners as well, receiving more adds its debut week than any other single in Christian radio history. Engaging children with songs to carry for life that share timeless truths with intentional artistry, this new CD contains 12 hymns old and new sung by kids for kids of all ages to sing along to! Recorded with kid friendly arrangements by the Getty Band, this will quickly become a firm favourite. ​​The second album of Getty hymnal music for children, For the Cause is a collection of songs old and new that emboldens listeners in faith, in going out in God's name. Sung for kids, by kids, as well as speaking the childlike faith in all of us. Under the name of Keith and Kristyn Getty, the beloved hymn writers who created the ever-iconic 'In Christ Alone', For the Cause offers music for children that doesn't rest and catchy hooks and energetic actions. But rather, it shows the absolute beauty and power of worship. That hymns cans stir the heart, and change the world. The 12 songs of For the Cause all speak to the hearts of children. They don't speak down, but lift up the spirits of those who sing along. Spark a love of praise from a young age with these beautiful songs today. What's in the Bible? The Songs! 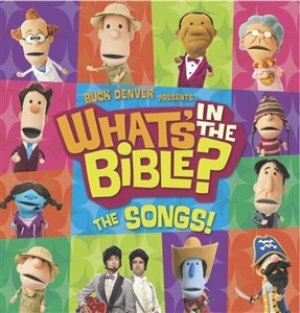 is the first music product to come out of the 13-DVD series from VeggieTales creator Phil Vischer. In his first new project since VeggieTales, Vischer has set out to teach kids (and parents!) the story of the Bible, God's great rescue plan! We know the stories of Moses, Noah, David, and Jesus, but in this groundbreaking new series, we learn how they all fit together to tell one big, redemptive story. Vischer's signature wit shines through with his all-new cast of characters, fast-paced flash animation, and catchy tunes. This is one journey through the Bible you won't want to miss! ​Kids love to sing and dance and there are lots of great songs out there to help them do so as they praise God. But they also love many family and adult worship songs, which can be just as catchy and funky when produced in a way they'll love. Worship Anthems Kids chooses the very very best worship anthems that kids love, taken from the finest UK writers and producers, tried and trusted - every one an absolute belter! A double CD that simply hopes to give kids the best, so that they'll want to worship for longer and spend more time in wonder at how Great our God is and just how much He loves them! ​Hillsong Kids Ultimate Collection CD features a new compilation of the well-loved high energy, live praise and worship songs from Hillsong Kids. 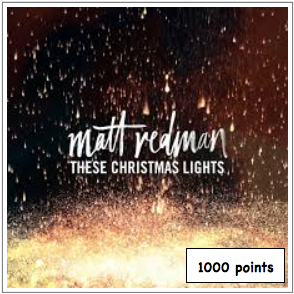 The brand new Christmas recording from Matt Redman. As the writer of many of the most popular worship songs like "10,000 Reasons", “Blessed Be Your Name,” “The Heart Of Worship,” and “Once Again,” Matt Redman’s songs are sung by millions of people every Sunday. Matt has a unique ability to craft songs that teach deep spiritual truths and remind us of God’s steadfastness. Matt has been involved in leading at the Passion Conferences for years, most recently at the Passion conferences in Atlanta and Houston (see Even So Come) with over 30,000 university students. Along with Louie Giglio, Chris Tomlin, Christy Nockels and Kristian Stanfill, Matt was one of the founding members of Passion City Church in Atlanta. 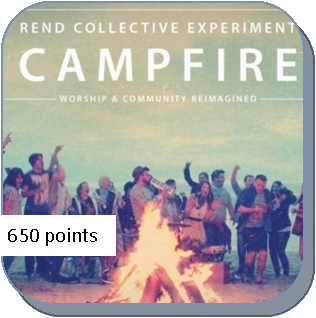 With classic Christmas songs and a mix of unique originals, Rend Collective’s Campfire Christmas (Vol. 1) provides worshipful lyrics to celebrate the season. Courageous is the best-selling inspirational movie with a solid faith affirming storyline that recognises the need for strong father figures in families, church communities and the nations. In this family movie with a Christian heart, Courageous Police officers Adam Mitchell, Nathan Hayes, David Thomson, and Shane Fuller are daily called to give their all serving and protecting the community. In their tough day jobs, the officers are confident and focused. They can give their best at work, but at home they’re finding it hard to make the grade. A sudden turn of events leaves the men shell-shocked, left to wrestle with their fears and failings. Risking their lives everyday, the cops realise there’s a common need in the no-hope gang members who roam the city streets. The need of strong a male role-model, an example to live the Christian life – a loving Christian father. The need to serve and protect is now much closer to home. What will they do: stay in the comfort zone or show real courage and take up what it means to be real father. At work, inside burning buildings, Capt. 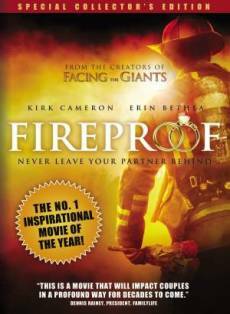 Caleb Holt lives by the firefighter's code: 'Never leave your partner behind'. But at home, in the cooling embers of his marriage, he lives by his own rules. Growing up, Catherine Holt always dreamed of marrying a loving, brave firefighter...just like her dad. Now, after seven years of marriage, Catherine wonders when she stopped being "good enough" for her husband. Regular arguments over jobs, finances, housework, and outside interests have readied them both to move on to something with more spark. As the couple prepares to divorce, Caleb's father challenges his son to commit to a 40-day experiment: "The Love Dare." Wondering if it's even worth the effort, Caleb agrees - if only for his father's sake, rather than for his marriage. When Caleb discovers the Love Dare's daily challenges are tied into his parents' new found faith, his already limited interest is further dampened. Trying to keep to his promise, Caleb is frustrated time and again. He finally asks his father, "How am I supposed to show love to somebody who constantly rejects me?" When his father explains this in terms of the love Christ shows to us, Caleb makes a life-changing commitment and, now with God's help, begins again to understand what it means to truly love his wife. But is it too late to fireproof his marriage? His job is to rescue others. Now Caleb Holt is ready to face his toughest job ever... rescuing his wife's heart. ​Join Bob, Larry, and all the VeggieTales friends for Lessons From The Sock Drawer - a special collection of the most entertaining and zany lesson-based shorts from everyone's most beloved veggies. When Bob and Larry get a letter from a little boy who has lost his hamster, they must find a way to cheer him up. Thankfully, Larry keeps "The Veggie Vault" in his sock drawer, so there's always a funny story close at hand. Co-hosted by the vault keeper Lutfi the sock puppet, Lessons From The Sock Drawer is filled with hilarity, music and over 70 minutes of silliness. Lessons From The Sock Drawer includes 13 shorts, plus 8 minutes of all-new material and is sure to tickle everyone's funny bone while teaching a few lessons along the way. Bonus features include the VeggieTales creators sharing stories about the origin of each short. Sweet Sara Crewe has everything a little girl could want - a loving family, lots of friends, and a closet full of frilly dresses! But when life takes a turn and Sara goes from riches to rags, will she realize that her true worth lies not in what she has, but what she has in her heart? Find out in this inspiring new story from VeggieTales that reminds kids who they are in God's eyes.